1. 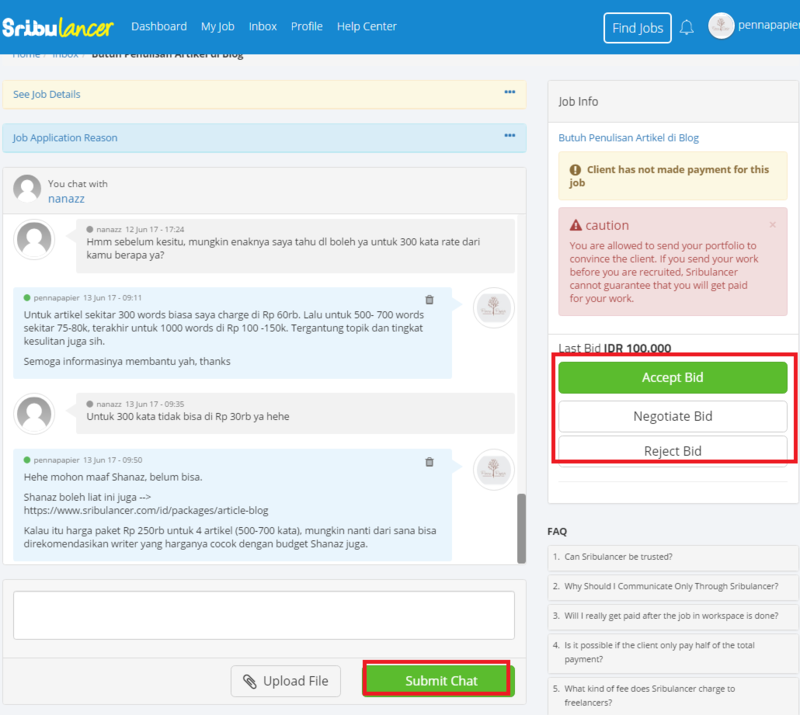 Login to your Sribulancer account to access your messages, including job offers. 2. Click on the notification alert and proceed to the chat section to read your messages. 4. To negotiate, simply click the "Negotiate Bid" button and enter the new price you desire. Click "Send" to proceed. 5. 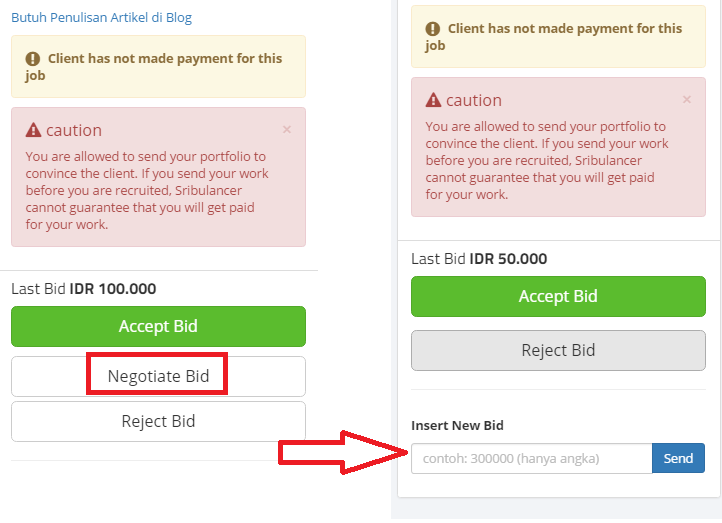 Similarly, click "Accept Bid" or "Reject Bid" accordingly based on your decision. If you decide to reject the bid, mention your reason professionally.